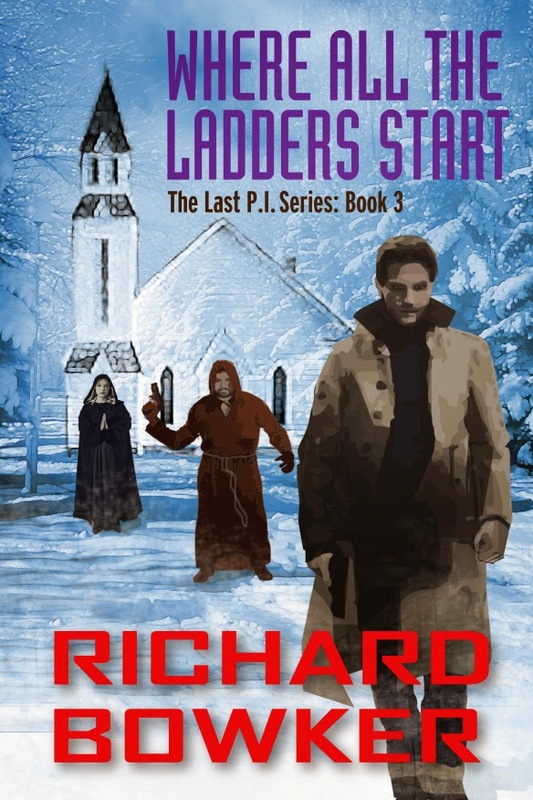 If you like private eye novels, and if you like near-future civilization-grinding-down novels, and if you like great characters and witty dialogue and sharp writing, why don’t you check out my friend Richard Bowker’s new book, Where All the Ladders Start. Because it has all that, and more. I got to read this one in manuscript—actually, in several different drafts—and it’s really good. I understand it’s available now in both ebook and paper. Check it out!